As a kid, one of my favorite pastimes was playing dress up. There was something thrilling about playing the part of someone else, living a life some place new, or going on a brilliant adventure. My sister’s and I used our imaginations quite often. Sometimes we were pirates, sometimes princesses. Sometimes we were teachers in front of a classroom or chefs commanding a bakery. One play act I loved to indulge was being a grown up. I would stock an old wallet with paper, pretending they were dollars or credit cards, and carefully step into an old dress of my moms. I’d spend the morning toting around a baby doll, shopping, driving and doing all of the fun things I imagined “big girls” did. If I wanted to get really fancy, I’d throw on some large pieces of costume jewelry, dulled with age. The only problem with this kind of make-believe is that none of these things were mine. I had many years to go before I had proper jewelry, high heels and (lawdy) a credit card. As the mom of two daughters, I watch my girls use their imaginations to dress up in all the same ways I used to. And despite the best of momma’s hand-me-downs, what they truly desire is a “piece of flair” all their own. Well, the secret wishes of every young girl have finally been answered with CHARM IT! CHARM IT! 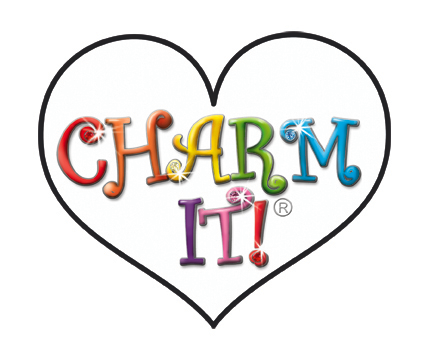 is the original, detachable charm jewelry brand for girls. These pieces of jewelry are designed with kids in mind, so they are durable and bright. I think my favorite part is that these necklaces and bracelets are customizable. Instead of play-acting with someone else’s clothes or jewelry, young fashionistas can now create a wearable piece of art that perfectly reflects their hobbies, likes, personalities and accomplishments. Each of my girls had a chance to create their own bracelet. We hopped online and headed to the CHARM IT! website, where we perused all the fun charms. 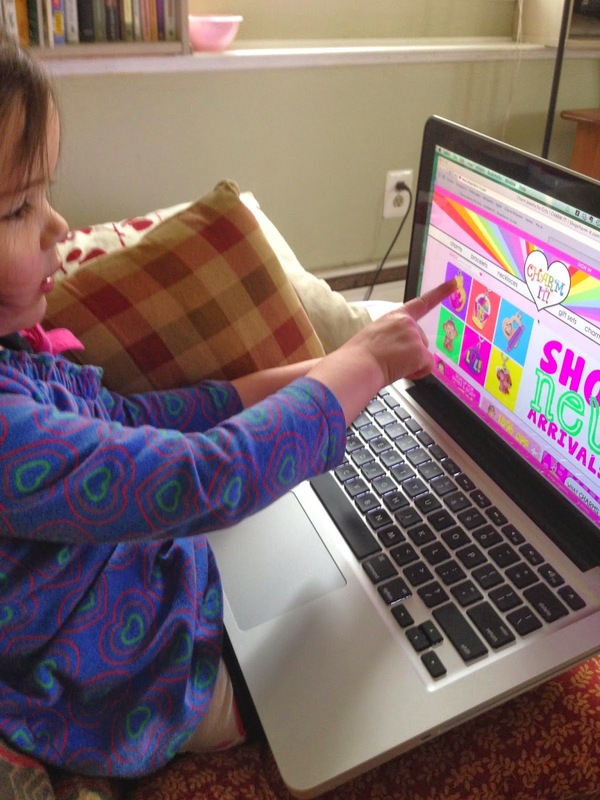 The website is super user friendly and easy to navigate (which is important when you have two little girls eager to design their very own pieces of jewelry!). Each girl wanted a charm with their initial. From there, I was intrigued by how their individual personalities came out by their choices. Chica wanted the “I Lost a Tooth” charm, since she lost her first tooth last month. That was a very big accomplishment for her and she wanted to mark the milestone with a charm. I loved that this option was available! She also loves Hello Kitty, so we chose a HK charm as well. And true to her sensitive, sweetheart, Chica also chose the “Love Letter” charm and the “Bee Happy” charm. Her bracelet perfect encapsulates every part of her personality! Bug, on the other hand, is totally glam. This girl loves to have her nails done, so she opted for a “Glitter Nail Polish” charm and “Rainbow Sunglasses” charm. If you’ve met Bug, you know how this is so her. When she’s not chasing glam, she’s chasing treats, so she couldn’t imagine a charm bracelet WITHOUT a Cupcake charm. And lastly, Bug looks up to her big sister a lot, so she chose “Love Letter” as her last charm, just like Chica. I love that CHARM IT! bracelets are a fun way to mark milestones and give girls a little ownership of their likes and hobbies. It’s great, too, that you can keep adding charms as they grow, customizing as their interests change. Buying a new charm is the perfect little gift to add to a birthday or holiday gift! The fabulous people at CHARM IT! want to give one of my fabulous readers a chance to win their very own customized charm bracelet! One winner will have a chance out pick out 5 charms of their choice from the website as well as a bracelet. You can connect with CHARM IT! on Facebook, Twitter, Instagram, Pinterest and the web.